Fried Ice Cream, a dessert made from a breaded scoop of ice cream that is typically quickly deep-fried, creating a crispy shell around a cold scoop of ice cream. This lighter version isn’t fried, but oh-my-word, I can’t tell you how good this is! 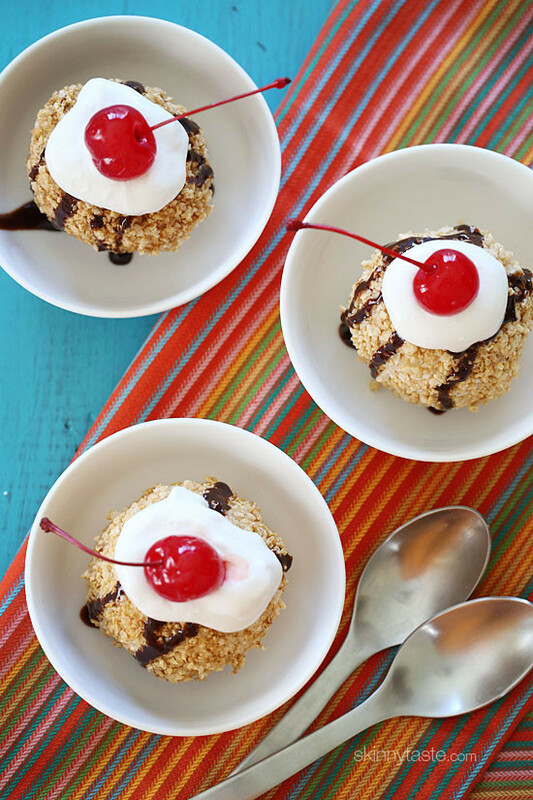 If you’ve ever had the Mexican fried ice cream at Chi Chi’s, you’ll understand this recipe. 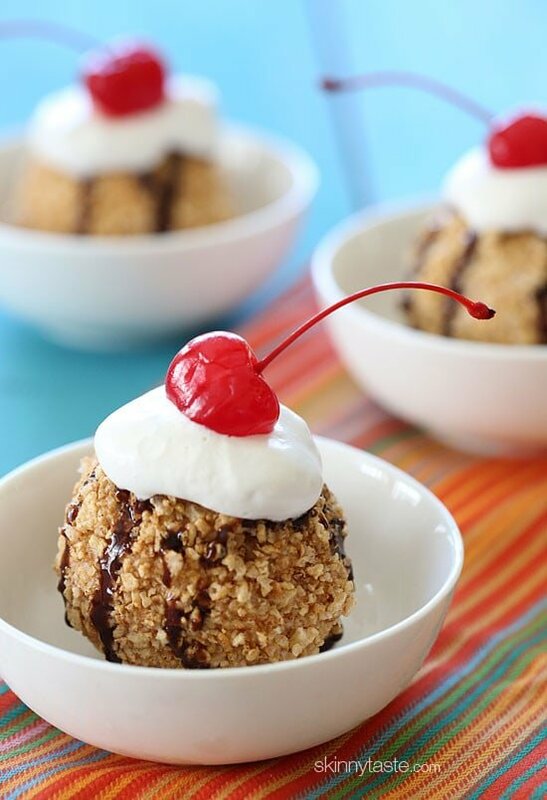 I always loved the concept of fried ice cream, as a kid I remember ordering it and always found it fascinating that the ice cream didn’t melt. This recipe is easier to make, and it’s a much lighter version than the restaurant dish. That’s because isn’t fried at all, but it still has that same great taste with the crisp cinnamon topping around a cold creamy scoop of vanilla ice cream. 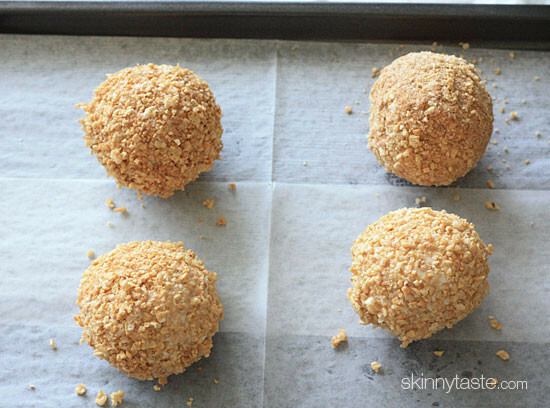 To make it gluten-free: The topping is made with crushed Special K as the crust tossed with some cinnamon. If you are gluten free, I would use a gluten-free cereal instead. 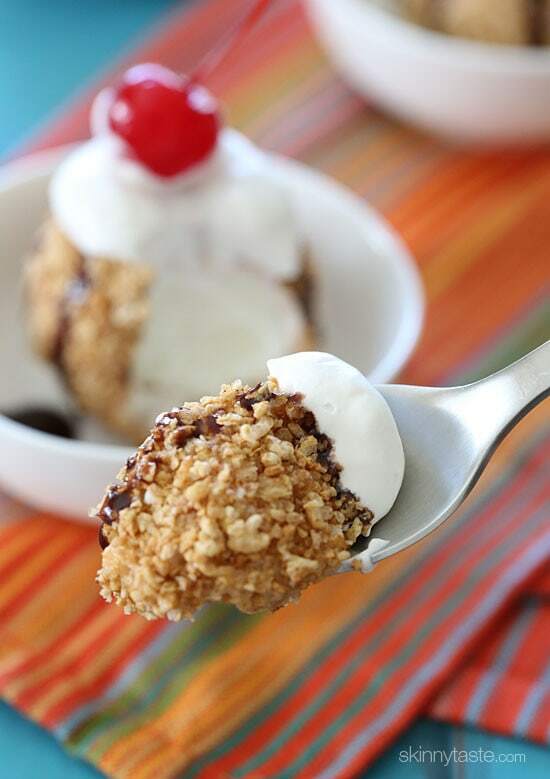 To make it dairy-free: swap the ice cream for your favorite dairy-free ice cream. 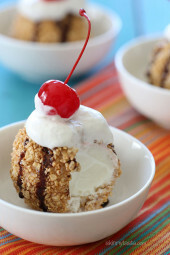 With an ice cream scooper, scoop out 4 balls of ice cream 1/2 cup in size and place on the parchment-lined baking sheet. 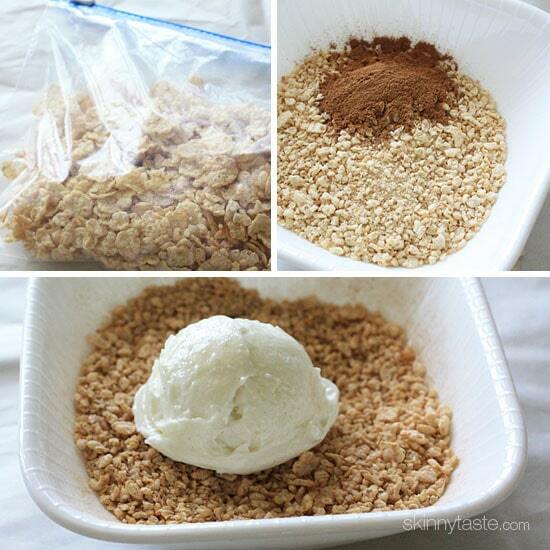 Freeze for 2 hours, or overnight, until the ice cream is very hard. Meanwhile, in a shallow bowl, combine the crushed cereal and cinnamon. 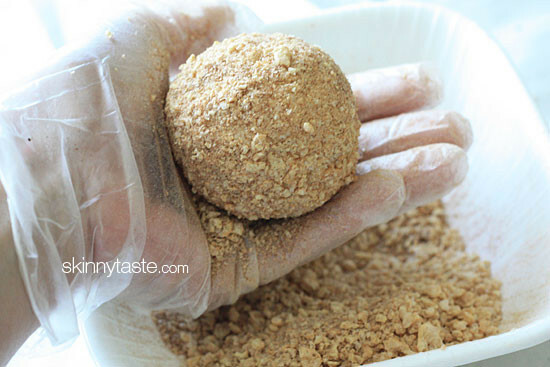 Using rubber gloves, roll the balls of ice cream in the cereal coating, packing them together into a smooth ball. 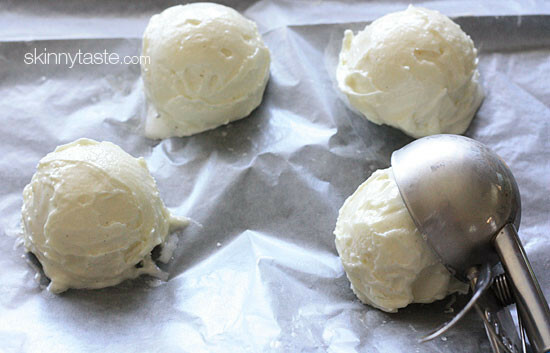 Return the coated ice cream to the baking sheet and freeze until ready to serve. To serve, drizzle with chocolate syrup on top with whipped cream and cherry, if desired.